"McNary National Wildlife Refuge, Washington"
The McNary National Wildlife Refuge is located on the eastern banks of the Columbia River below the junction with the Snake River, and encompasses various Units from the Burbank Slough to the mouth of the Walla Walla River, and downstream to Juniper Canyon, with smaller sections dotting the Oregon bank of the Columbia down to Hat Rock State Park. 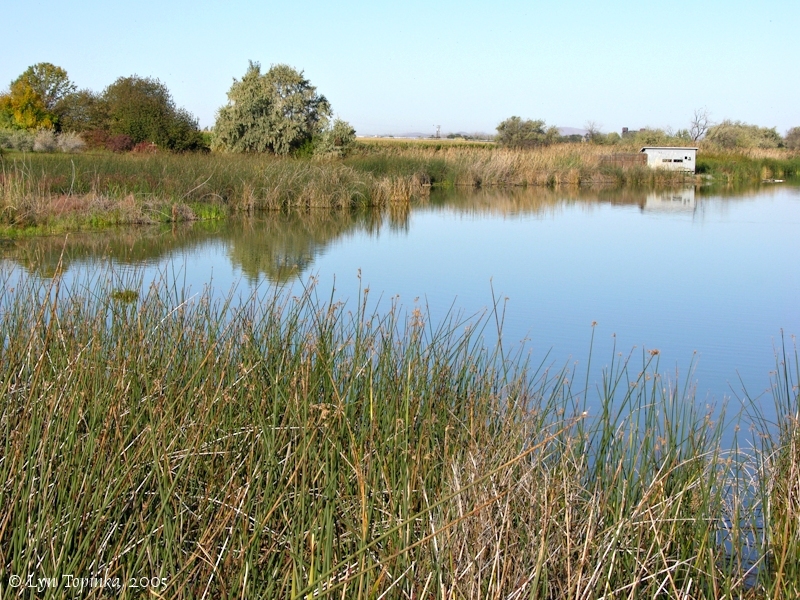 McNary NWR was originally established at 3,600 acres, but now it encompasses over 15,000 acres of backwater sloughs, seasonal wetlands, shrub-steppe uplands, irrigated farmlands, river islands, delta mudflats, and riparian areas. 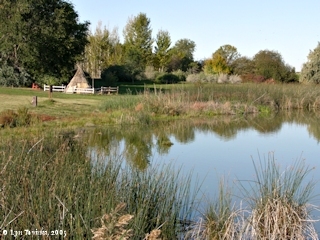 The refuge is a resting and feeding area for migrating waterfowl. On October 18, 1805, Lewis and Clark and the "Corps of Discovery" left the area of today's Sacajawea State Park and began their journey down the great Columbia River on their way to the Pacific Ocean. They went past territory which would someday become the McNary National Wildlife Refuge, including the mouth of the Walla Walla River. Twenty-one miles after beginning their journey on the Columbia Lewis and Clark set up camp on the left bank of the Columbia River on the upstream edge of the Wallula Gap, near Port Kelley and Spring Gulch Creek. The McNary National Wildlife Refuge Complex is comprised of 7 units; the Strawberry Island Unit near the Snake River junction with the Columbia, and the Burbank Slough, Peninsula, and Two Rivers Units are located north of the Walla Walla River. The Wallula Unit covers the lower reach of the Walla Walla, and the Juniper Canyon and State Line Units are located along the southern shore of the Columbia River between the Oregon border and Hat Rock. 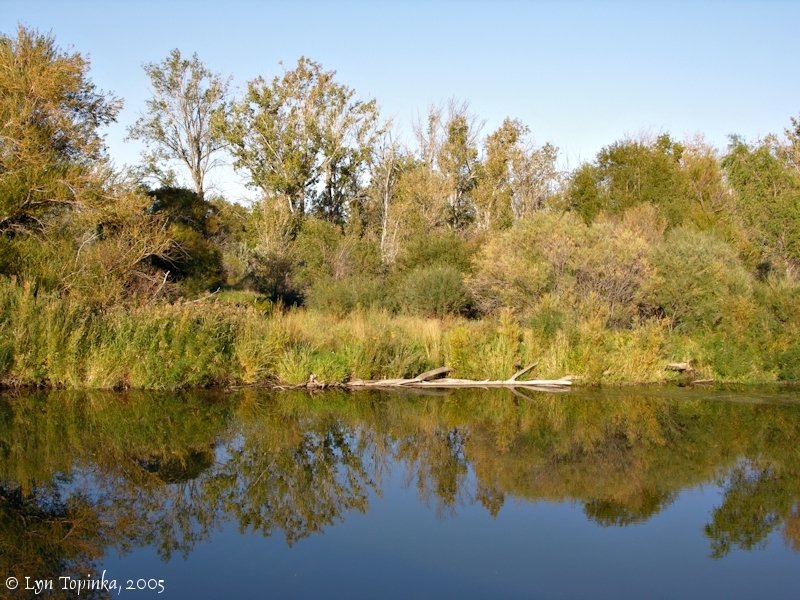 These Units provide excellent places to view many species of animal, songbird, waterfowl, and migratory birds including tundra swans, snow geese, green-winged teals, Northern shoverlers, canvasbacks, redheads, ring-necked ducks and lesser scaup. The refuge includes 15,000 acres of water and marsh, croplands, grasslands, trees and shrubs, and is an important resting and feeding area in the Pacific Fly-way for up to 100,000 migrating waterfowl. The most favorable viewing opportunities occur between October and December. Nesting activity commences from March through Late July. More than 212 species of bird are regularly sighted at the Refuge, including several endangered species such as the Peregrine Falcon and the Bald Eagle. 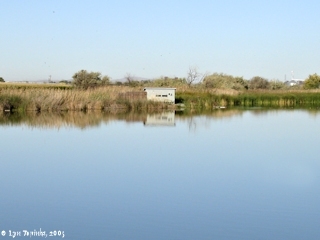 Click image to enlarge Duck Blind, McNary National Wildlife Refuge, Washington: View at Burbank Slough Unit. Image taken September 25, 2005. The McNary Headquarters Unit of the McNary National Wildlife Refuge comprises 2,961 acres. The Juniper Canyon/Stateline Unit is located along the southern shore of the Columbia River between the Oregon border and Hat Rock State Park. The combined Juniper Canyon/Stateline Units comprise 1,692 acres. 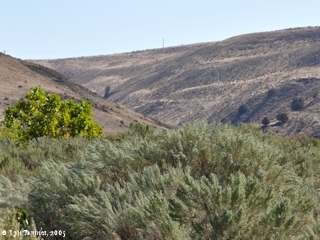 Click image to enlarge Juniper Canyon Unit, McNary National Wildlife Refuge: Image taken September 25, 2005. 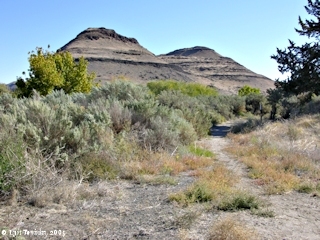 Click image to enlarge Juniper Canyon Trail, McNary National Wildlife Refuge: Image taken September 25, 2005. 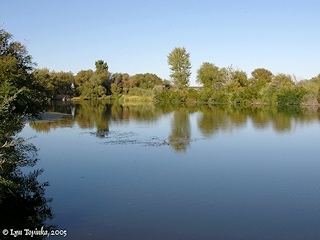 The Peninsula Unit is located north of the Walla Walla River and includes the land and the waters of Badger, Foundation, and Crescent Islands. The Unit comprises 7,839 acres. 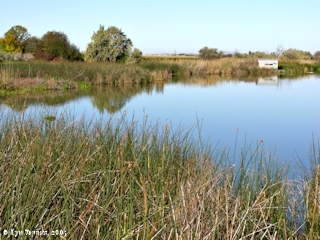 Click image to enlarge Peninsula Unit, McNary National Wildlife Refuge. Image taken September 25, 2005. The Strawberry Island Unit is located on the Snake River near the junction of the Snake with the Columbia. The Unit is 136 acres. 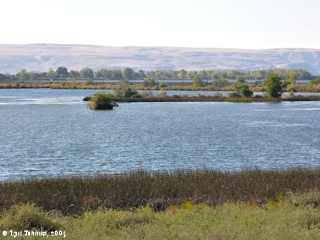 The Two Rivers Unit of the McNary National Wildlife Refuge is located on the east side of the Columbia River north of the Walla Walla River and Wallula Unit, and south of the Burbank Sloughs and Peninsula Units. The Two Rivers Unit is 344 acres. The Wallula Unit of the McNary National Wildlife Refuge borders the lower reach of the Walla Walla River where the Walla Walla River merges into the Columbia River. The Unit comprises 2,264 acres. 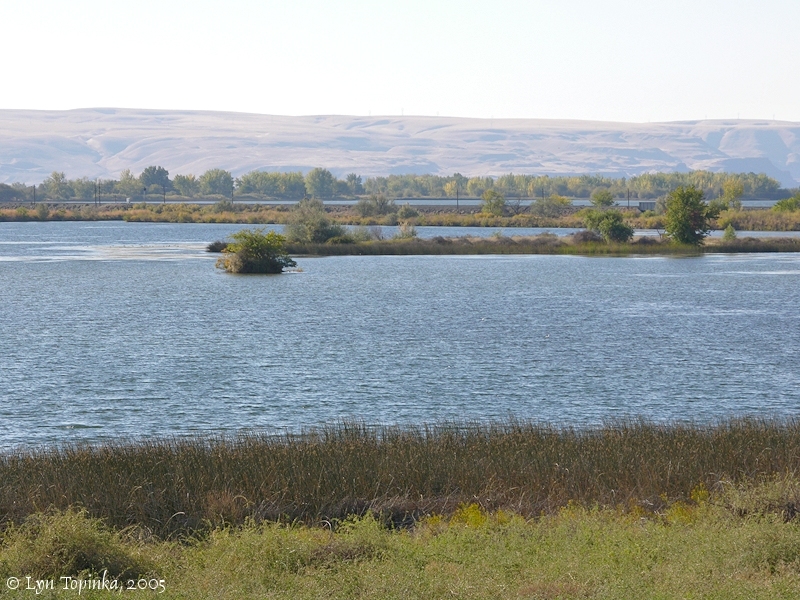 Click image to enlarge Wallula Unit, Walla Walla River and McNary National Wildlife Refuge, Washington: Upstream view of the Walla Walla River, as seen from Marie Dorion Park, Washington, looking towards the McNary National Wildlife Refuge. Image taken September 24, 2005. Click image to enlarge Walla Walla River, Washington: Looking at right bank of the Walla Walla River, from old road bridge near mouth of the Walla Walla. Image taken September 24, 2005.